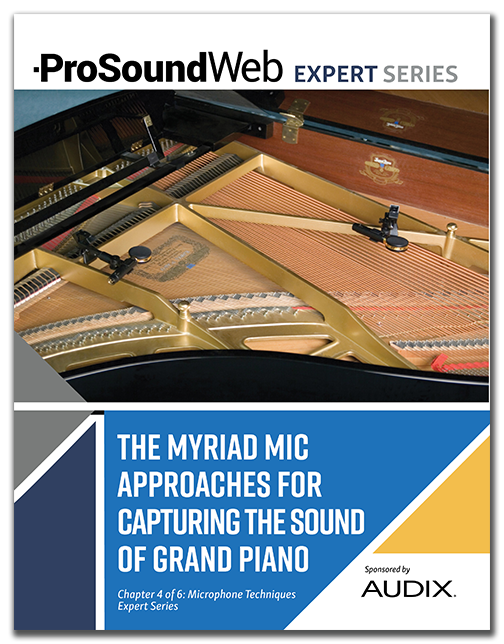 When capturing the sound of the grand piano there are a myriad of mic approaches. In fact, ask 100 sound engineers how to mike a piano and you’ll get 99 ideas – and many of them will actually work if applied correctly. Sure, it can be inconvenient at times to try to capture the sound of a half-ton instrument with 230 strings. But the quest for excellence in the sound reinforcement world is not for the faint of heart. Download this FREE article today. Veteran mix engineer Mark Frink has been working in live production for more than 30 years, including serving as the monitor engineer for numerous top touring artists.